Home / Visit Sunbird at Critical Facilities Summit! Visit Sunbird at Critical Facilities Summit! 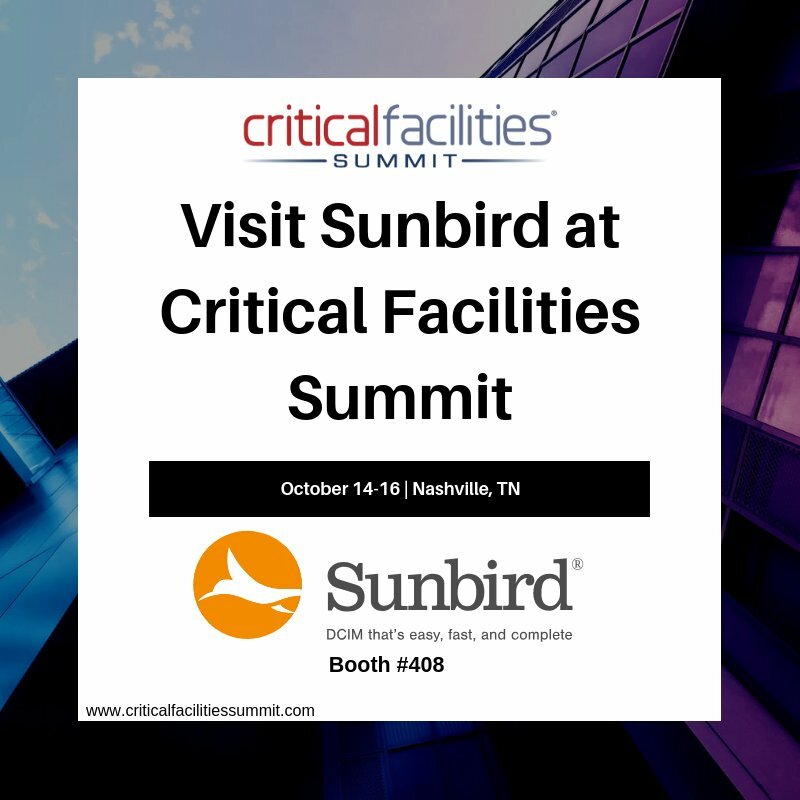 Sunbird will be at Critical Facilities Summit on October 14th- 16th located at the Music City Center in Nashville, Tennessee. Stop by Booth 408 for a demonstration of our award-winning Data Center Infrastructure Management (DCIM) solution. Heading to Critical Facilities Summit and want to chat one-on-one with a DCIM expert? Sunbirds representatives also will be available for individual meetings. Let us know if you'd like to meet!